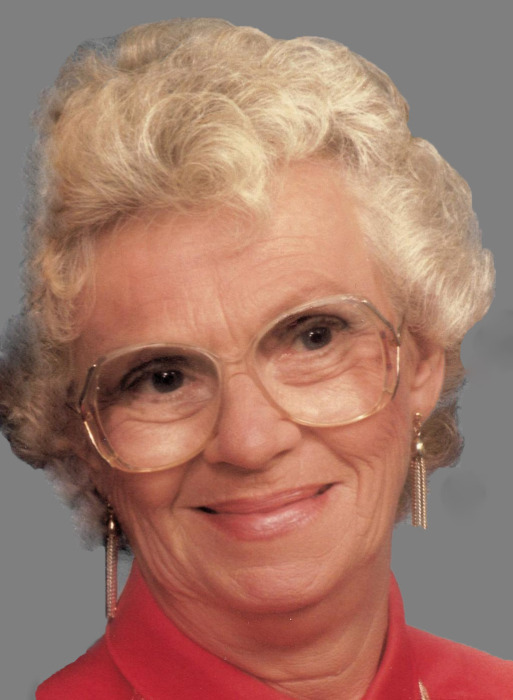 Betty J McClure-Lawson, 88, of Churubusco, passed away on Tuesday, February 5, 2019, at her home. Born in Greenfield, on June 6, 1930, to the late, Frank and Thelma (Schmeltzer) Walker. She spent her formative years in Greenfield and Fort Wayne, graduating from Northside High School. She was married to Alden Ray McClure, Sr., on October 4, 1947. He preceded her in death on March 6, 1981. Later Betty was married to Leroy Lawson, who preceded her as well. Betty worked for U.S Rubber for 10 years before going to work at GE. She retired from GE in 1990, after 30 years of service. She was a member of the Moose Lodge in Auburn, Elecs Club, Churubusco American Legion and the Churubusco VFW. Betty is survived by four daughters, June Houlton, Linda Barth, Beverly (Joe) Gray and Wanda VanHorn; two sons, David McClure and Aaron McClure; eight step-children; a brother, Jerry (Barb) Walker; two sisters, Bonnie (Jack) Flaugh and Annie (Orval) Dennis; 20 grandchildren and many great and great-great-grandchildren. She is preceded in death by her parents; spouses; a son, Alden Ray "Sonny" McClure, Jr.
Services will take place at Sheets & Childs Funeral Home on Monday, February 11, 2019, at 1:00 PM, with calling one hour prior to the service. Family will receive friends on Sunday, February 10, 2019, from 2:00 PM until 5:00 PM. Burial taking place at Eel River Cemetery, Churubusco. Memorials to the family C/O Sheets & Childs Funeral Home.